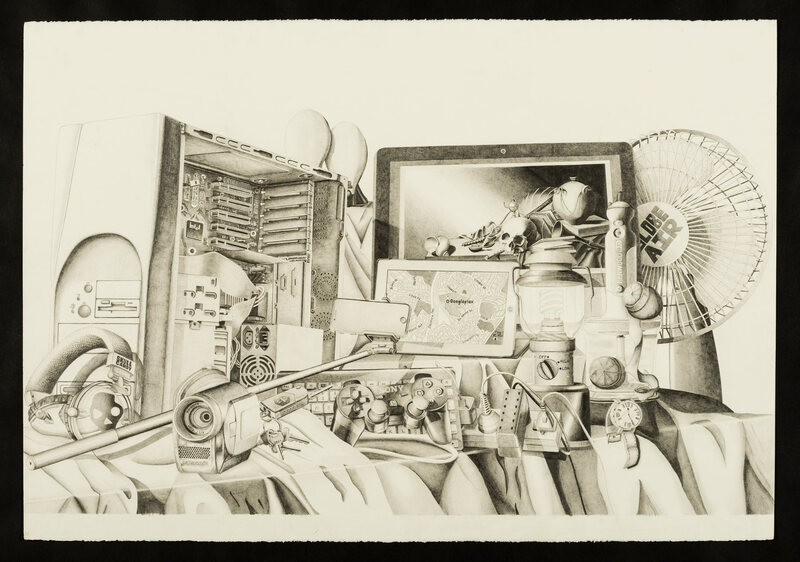 I appropriated the 16th-century vanitas philosophy of artmaking to depict society’s reliance upon technology in shaping our modern lives. 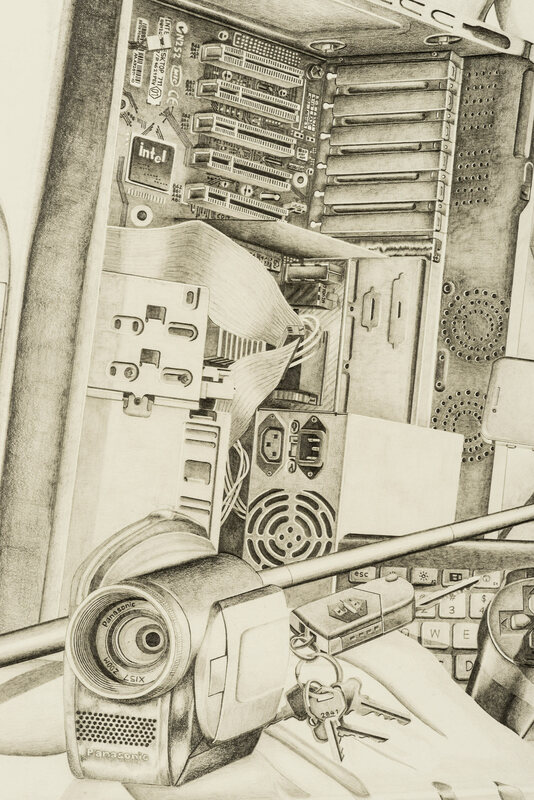 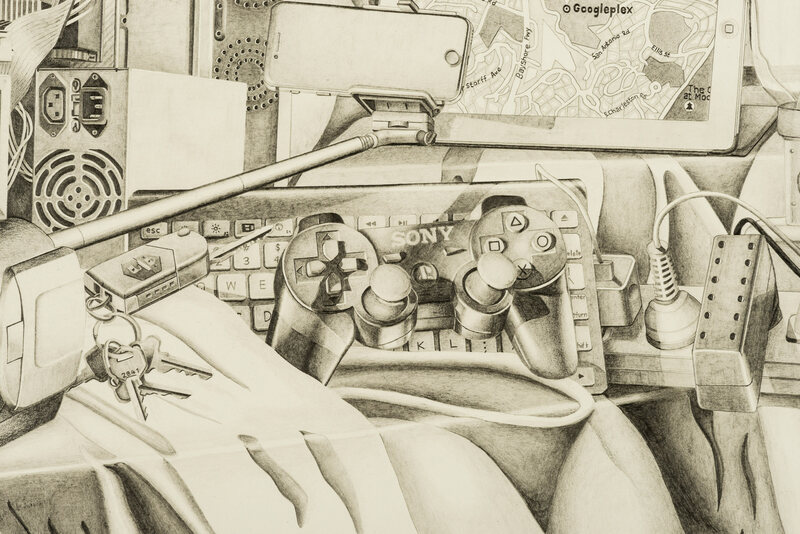 Traditionally a still life was painted in oils, but I chose to draw my work in pencil to demonstrate how society has replaced the tasks once completed by humans with machines that have the perceived ability to complete tasks with greater efficiency and accuracy. 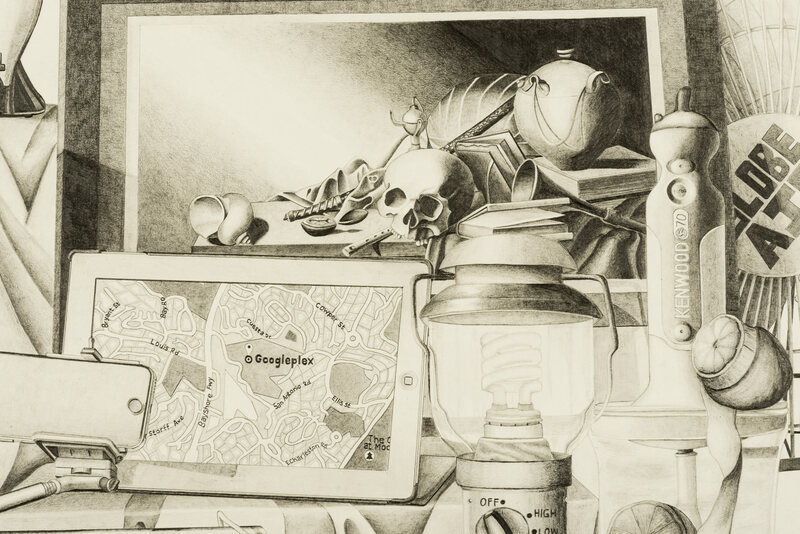 However, through my detailed portrayal of a vanitas image the audience learns to appreciate the skill/value of an artist’s work as opposed to an image created by a machine, which is easily assessable and relatively valueless.